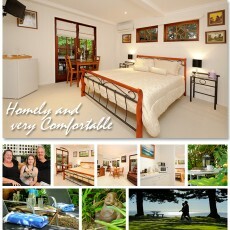 Harbourside B&B specialises in Bed & Breakfast accommodation for couples and families. Featuring modern and comfortable facilities you will be guaranteed to be relaxed and satisfied after your stay. You will be warmly welcomed by owners Rob and Sandy Hahn who will give you your privacy and be there should you need any assistance during your stay. Harbourside B&B is very close to many dining options. It is a short walk through the park to Morgans Seafood Restaurant and the Moreton Bay Boat Club. A short drive away is Mexican, Thai and Italian restaurants. Enjoy the home away from home experience, bring the family and start relaxing and enjoying the area. 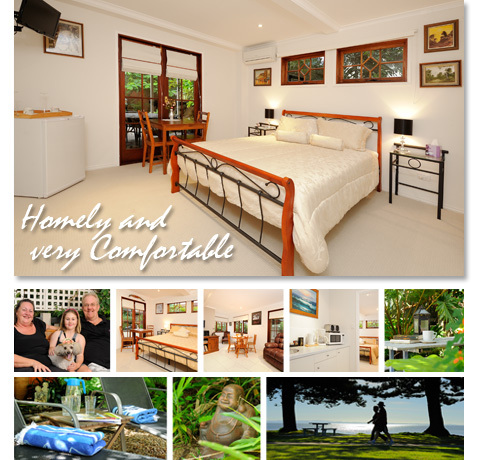 Harbourside B&B is located at Scarborough on the Redcliffe Peninsula, a 40min drive from Brisbane and only 30mins from the Brisbane Airport.